Description Photo courtesy of Jean Irwin Hoffman. Joint christening of Jean's second daughter, Susan Hoffman and twin sister Joan Irwin Green's first daughter, Carter Green. 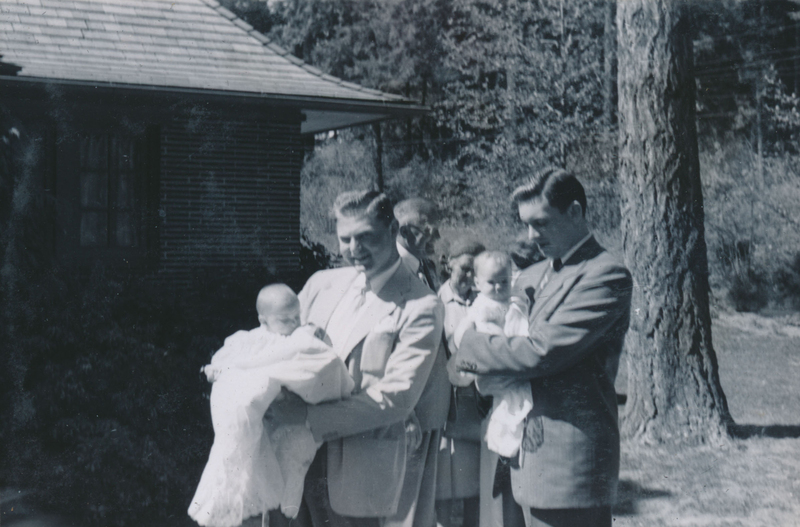 Phil Nock holds Susan and Doug Graham holds Carter.